With the release of Komani’s upcoming open world action-adventure stealth video game only a few weeks away, the publisher has revealed the resolution and frame rate details for the game across both last and current generation video game platforms. The final retail build of Metal Gear Solid V: The Phantom Pain runs at full HD 1080p resolution on the PlayStation 4, while the Xbox One version of the game now runs at sub-HD 900p resolution instead of 720. The PC version, of course, stands to give out the best graphics with resolution going as high as 4K. Metal Gear Solid V: The Phantom Pain is releasing next month, and despite all the controversy revolving around the dispute between Konami and Kojima Productions that sparked due to the publisher’s plans for a corporate restructuring, the game is expected to have a smooth launch with Kojima Production’s tag still on it. Konami is adding final bits of information to the official website of the game, and while doing so, the Japanese publisher recently announced final resolution and frame rate details for the upcoming game. The latest iteration in Kojima’s famed video game series runs at 1080p resolution on Sony’s PlayStation 4 console and at 900p resolution on the Xbox One. Metal Gear Solid V: The Phantom Pain’s resolution on Xbox One has actually taken a bump as the first part of the game known as Metal Gear Solid V: Ground Zeroes ran at 720p on Microsoft’s console while the PlayStation 4 handled it at native 1080p resolution. Just like Ground Zeroes, the upcoming game runs at 60fps on all current-gen consoles. As is mostly the case, PC version of the game offers the best graphical options and is expected to look the best, provided that your rig constitutes of the required hardware. 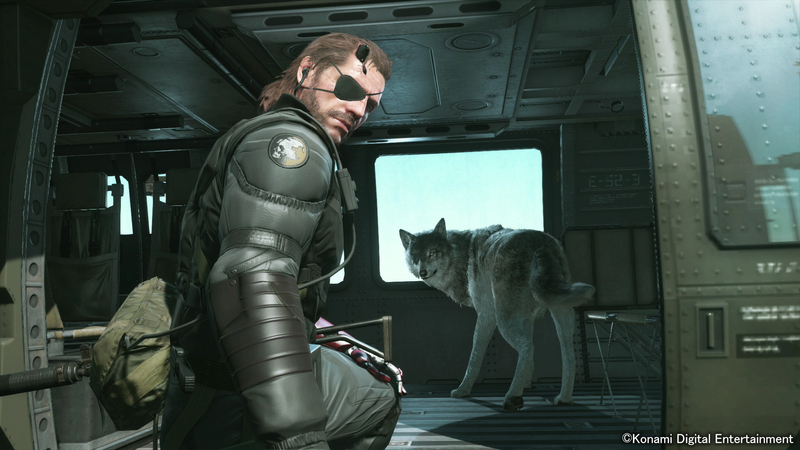 Metal Gear Solid V: The Phantom Pain is due to launch on September 1 for PC, PlayStation 4, and Xbox One. The PC version of the game was originally expected to roll out on September 15, two weeks after the release of the console versions, but Konami announced this week that the game will be released across all platforms simultaneously, and those who pre-order the game on Steam will get a free copy of Metal Gear Solid V: Ground Zeroes.